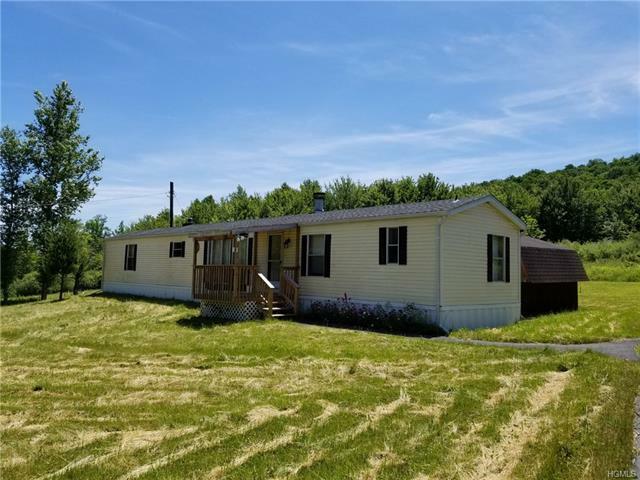 This adorable three bedroom, two bath mobile is situated on 4+ acres of beautiful property. Set back on a country road, this sweet and peaceful home is extremely comfy. Master suite with full bath is on one wing, two bedrooms and full bath on the other. New front porch, large deck off sliders in rear for taking in the fresh air and star gazing. Living room offers wood-burning fireplace and lots of natural light. Really great yard is level and very large, a great place for gardening, sports, family fun and pets. Centrally located to Liberty, White Sulphur Springs, Youngsville, Jeffersonville and Livingston Manor, easy access to shopping and services. Very lovely setting with privacy is hard to find for this price!